All fellowship ads appear for one year on our Fellowship page. Postings within the last 90 days are also listed in our biweekly emails, sent to 5,958 subscribers. Description: This training program is designed to train academically-oriented physicians to be subspecialists in the area of hematopathology. Our program is structured to give fellows clearly-defined and graduated responsibilities, and delegated authority. The two year program consists of one accredited year of structure learning, followed by a second year of additional specialization, including electives and research opportunities, and clinical responsibility. In the second year, the fellow may also elect to participate in basic research in the area of lymphomagenesis and eligible fellows are granted independent sign-out responsibilities commensurate with their demonstrated expertise. A large number of community-based cases are reviewed as part of the Nebraska Leukemia/Lymphoma Study Group Network. The Medical Center also has an active hematology/oncology service and hematopoietic stem cell transplantation program. 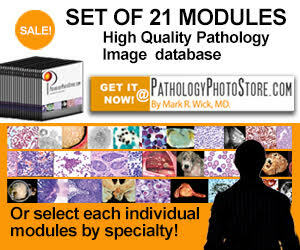 A full range of morphologic, histochemical, immunologic, cytogenetic, and molecular biologic techniques are performed as diagnostic and investigative tools. This program is approved by the American Board of Pathology (ABP) for subspecialty training in Hematology. Requirements: Board eligible or certified in both anatomic and clinical pathology. Application: Applications will be evaluated on an on-going basis and will be accepted until the position is filled. Applicants need to submit a complete application package electronically to Kim Martin, Residency/Fellowship Coordinator, at [email protected]. The application package includes a CAP standardized application form, curriculum vitae, a personal statement, United States Medical Licensing Examination results (parts 1, 2, and 3), ECFMG certification, ACGME Six Competencies attestation form, and three letters of recommendation. The personal statement should include a brief overview of the applicant's interests, related prior experiences, and long-term career goals. The three letters of recommendation should include one letter from the applicant's current program director, and two from other physicians who know the applicant well, preferably one hematopathologist. International medical graduates must also submit a copy of their valid Educational Commission for Foreign Medical Graduates (ECFMG) certificate and be eligible for a J-1 visa, if necessary. Only complete applications are reviewed for a possible interview. Email [email protected] with application materials. The University of Nebraska Medical Center Department of Pathology and Microbiology is pleased to offer a 1 year fellowship in Surgical Pathology beginning July 1. This fellowship will provide advanced training in diagnostic Surgical Pathology. The goal of the fellowship would be to improve and learn diagnostic skills so as to ease the transition from residency to independent sign out. Dr. Subodh Lele is the program director for the surgical pathology fellowship. Attention will be given to fulfill the needs of the individual fellow in terms of gaining skills towards pursuing a career in either private practice or academics. Highlights of the surgical pathology fellowship include independent sign out in the last three months of the fellowship. Approximately 25 pathologists on staff have a wide variety of subspecialty expertise to further enhance the fellow's training. There will be several months of elective time which could be tailored to suit the needs of the fellow. UNMC, and its hospital partner, Nebraska Medicine, are home to the NCI-Designated Fred and Pamela Buffett Cancer Center, Munroe-Meyer Institute for Genetics and Rehabilitation, Lied Transplant Center, Michael F. Sorrell Center for Health Science Education and Nebraska Public Health Laboratory, which will provide enhanced experiences in molecular diagnostics. Requirements: Board eligible or certified in both anatomic and clinical pathology is preferred. Types and Numbers of Appointments: 1 fellow each academic year. Community: Omaha is a metropolitan center of more than 900,000 people that is strategically located within a day's drive to the Rocky Mountains, Minneapolis, Kansas City, St. Louis, and Chicago. It has been ranked highly in livability with its affordable housing and excellent school systems, as well as several institutions of higher education. In Omaha you can enjoy world-class theatre, symphony, opera, sports, concerts, art galleries, museums, dining, shopping, and more. Omaha's Henry Doorly Zoo and Aquarium has been ranked first in the Nation. Stipends: The stipend is that of a fifth year resident, but may be adjusted appropriately for the level of post-residency training. Program Director: Subodh Lele, M.D. Applications: We will begin accepting complete application packages on June 1, 2018. The package includes the CAP standardized fellowship application form, a curriculum vitae, personal statement, United States Medical Licensing Examination summary sheet showing parts 1, 2 & 3, AP/CP board certification (if applicable), and three letters of recommendation. The personal statement should include a brief overview of the applicant's interest, related experiences, and long term career goals. The three letters of recommendation should include one letter from the current Program Director, and two from other physicians or graduate advisors who know the applicant well. International graduates must also submit a copy of a valid Educational Commission for Foreign Medical Graduates (ECFMG) certificate. Please note, the last day to submit an application for the Surgical Pathology Fellowship 2019-2020 position is Thursday, August 17th.